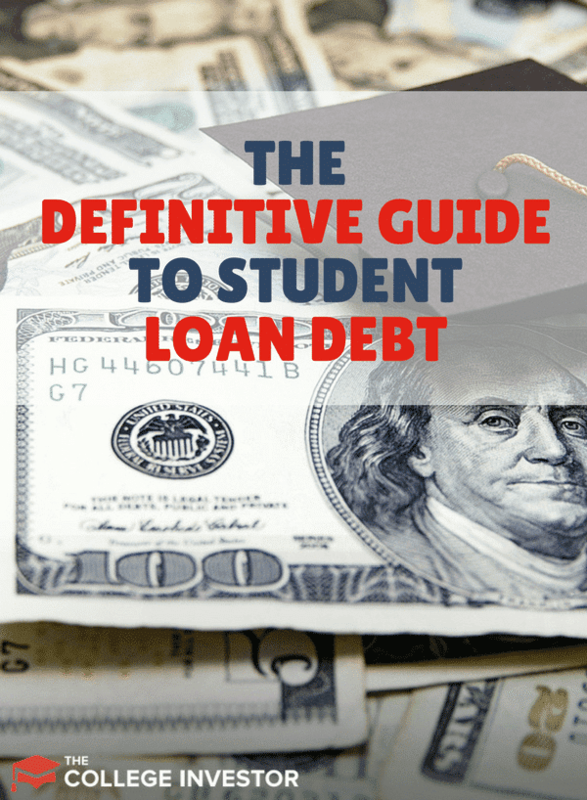 Welcome to the Definitive Guide To Student Loan Debt! This is the most detailed resource available on how to take out student loans "the right way", and how to pay them off "the best way". I hate student loan debt – I hate it with a passion. However, for most people, they will need it to get the education they need to be successful. But just because you need something doesn’t mean you have to be ignorant about how it works. That is my goal – to show you how to get into a student loan smart, and how to get out of a student loan with as little pain as possible. Read these student loan success stories for motivation. This is a guide, and the purpose of the guide is to educate you and guide you. It is NOT a system and it will not help you magically pay for school or get out of debt. It will, however, take you through the process from start to finish put knowledge in your head, and give you tools to battle the student loan machine. You can also opt into our free student loan email training course. Getting a student loan should be a difficult decision for people, but it is usually not. A student loan is like every other kind of debt in many ways, but there are subtle differences that make it more dangerous than most debt. 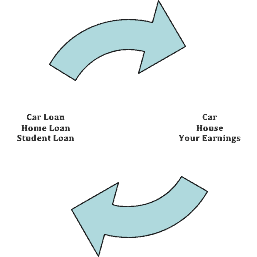 It is important to really take the decision of getting a student loan with the same level of care that you would with a car loan or a mortgage. We recommend really understanding the ROI of your college education before you embark on taking out any student loan debt. Is this something you really want to be paying for 10 years or more? With all debt, you should really understand what you are getting into. First, a student loan is just that: a loan. This means that you will owe someone money. In some cases it is a bank, in others it could be the US Government. Either way, you must pay it back. Second, as with all debt, it accrues interest. This means that you not only have to pay back what you borrow, but you have to pay back more than you borrow, and that amount increases the longer you borrow. Think of it like a reverse savings account, where instead of earning money, you are accruing more debt. Plus, having student loan debt can negatively impact your debt-to-income ratio, which could prevent you from buying a house, leasing a car, or even renting an apartment. So, what are you borrowing against? Most of the debt you are used to is secured against something – you get a car loan and you are borrowing against your car; a mortgage is a loan against your house. If you don’t pay these types of loans, they simply repossess your car or house. With a student loan, you are borrowing against your personal future. It is assumed that by getting an education, you will earn more money. With that additional money, you should have no problem paying off the student loan. The interest rate of a loan is how much it will cost you to borrow the money as a percent of the loan. It is calculated 2 ways: simple or compound. Simple interest takes your loan amount (say $10,000), and calculates the interest 1 time. If your interest rate is 5%, your total interest on the loan will be $500. Compound interest, which is much more common for student loans, charges interest for the duration of the loan, calculated annually. This is where it gets scary. If you borrow the same amount ($10,000), at the same rate (5%), but it compounds annually and you make the minimum payments (which would be about $106/mo), your total interest paid over the course of the loan jumps to $2,728. It is also important to note that you begin paying interest on the day you start to borrow the money, not just once repayment starts. This is usually the beginning of the quarter or semester. Most student loans let you defer the interest payments until you graduate, and then add it into your total loan amount, but you also have the option of paying the interest as it accrues while you are in school, which can save you a little bit of money down the road. It is also important to note that federal student loan rates are set by the government, and are currently variable, meaning that the rate can go up or down over time. I will highlight the differences between federal and private, and subsidized versus unsubsidized a little later. Along with the interest rate, borrowers should carefully look at the rewards that are offered with their student loan. 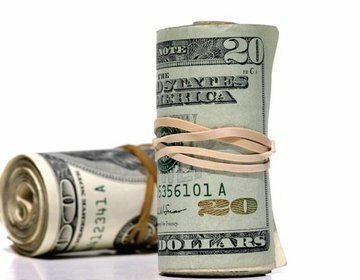 This doesn’t usually apply until repayment, but it can save some money by offering incentives such as interest rate reductions or cash-back for doing certain actions. These actions could be making one-time payments, signing up for paperless statement, or enrolling in the loan servicer’s automatic debit program. You can find all the different Federal loan servicers here. Currently, all federal student loan programs have a 1% fee that covers origination costs and the potential for default. The loan fee is usually deducted from the loan disbursement. As a result, it is extremely important that the financial aid office submit the amount to the lender that includes this fee, so that you pay the correct amount to the school. Most schools are aware of this and do this for you. There are limits to how much you can borrow from the federal government, both annually and in total over the course of your life. The actual amount you can borrow depends on the year you are in school. It goes up with time in school, since it is believed that your risk of finishing school drops with each additional year you are in. Once again, you are borrowing against your future earnings, so lenders calculate risk based on school completion (freshman are the most likely to drop out, followed by sophomores, etc.). Furthermore, there are limits on how much of your debt can be subsidized by the government. It is important to note that these limits apply only to federal Direct Loans. It is also important to note that graduate and professional students enrolled in health care programs (such as becoming a doctor) may receive additional loan amounts beyond these limits (learn about HEAL loans here). Being a doctor is expensive! Many private student loans do offer the option of being paid directly to the borrower. In this case, it is important that you coordinate your payments with the university, so that you can make all of your payments on time, and not face fees from either the bank or the school. For most loans, you do not have to repay any portion of the principal or interest while you are in school, and usually for a 6-month grace period after you graduate or leave school. YOU are the collateral for this debt, and your future earnings are what will pay it back. The interest rates on student loans can vary, so make sure you read the fine print. There are several different types of student loans. First, you have Federal student loans. These are the loans issued by the government through the Department of Education. There are multiple types of Federal student loans (and multiple repayment plans to go with each type). These loans are handled by Federal loan servicing companies, who are contracted by the Department of Education. Then, you have private student loans. These are student loans issued by banks and credit unions. These loans don't offer as many "perks" as Federal loans, but they may offer better interest rates and other terms. You can learn about ​the different private student loan lenders here. As it breaks down, there is currently (in 2016) about $1.3 trillion in student loan debt, as reported by the Federal Reserve.​ The U.S. Department of Education's loan portfolio is current at about $1.18 trillion. That means there is about $120 billion in private student loans. If you want to take out Federal Student Loans, you need to fill out the FAFSA (Free Application for Federal Student Aid)​. This application must be completed every year, starting in the last year of high school until there is no longer a POTENTIAL need for aid. You must start in the last year of high school because the application typically has a deadline in March or April of the year financial aid will be needed. For example, if you are going to want financial aid in the Fall 2016 semester, you must apply in March of 2016. As a side note, many colleges give out their need-based financial aid based on the FAFSA application. The sooner you submit the FAFSA, the higher your chance of getting financial aid. ​I also emphasize that the application must be filled out each year you may want or need aid. It is simply not enough to fill out the application the first year. You must fill it out each year as your income and student status changes. I also strongly encourage you to fill it our regardless of your current need, as you may want to apply for aid as a graduate student. By filling it out each year, it gives the lender a clearer picture of your educational and financial history, which makes the lending process easier. To qualify for a Federal student loan, a borrower must meet residency requirements, attend an eligible school or institution, and have not been convicted of a crime. It is important to note that Federal student loans are based on need, and while the FAFSA does ask for parental financial information, the ability to get student loans is not hindered by that information. However, it may impact other financial aid awards. If you have concerns about your financial aid award, here are the steps to appealing a financial aid award. ​Private loans differ from Federal student loans because they do not require the completion of the FAFSA. Instead, they are more like traditional loans, in that you fill out a loan application, and you are qualified based on your credit history and ability to pay back the loan. Also, since it is usually a student applying for the loan, it may require a co-signer, such as a parent, to be approved. In this case, the parent would be just as responsible as the student for paying back the loan. Although it is a private student loan, it still carries with it the same restrictions as a Federal student loan in terms of being discharged. It does allow for higher borrowing limits and has no income restrictions. To get the best rates, and maybe not have the need for a cosigner, a student needs to have a high credit score and income. Here's some more tips on how to get a private student loan with no cosigner. To check your credit score, use a free tool like Credit Karma to know where you stand. Use Credit Karma to Check Your Credit Score For Free - Know Where You Stand So You Can Get The Best Rates! There are currently two Federal student loan programs available to borrowers. ​William D. Ford Federal Direct Loan (Direct Loan) Program and the Federal Perkins Loan Program. ​Direct Subsidized Loans are for undergraduate students who demonstrate financial need. The interest rate on these loans is currently 4.29% as of 2016. Witht he subsidized loan, the student is not usually charged interest on the loan during certain periods, such as during school and during the grace period. Direct Unsubsidized Loans are for undergraduate and graduate students, but financial need is not required. The current interest rates are 4.29% for undergraduate students, and 5.84% for graduate and professional students. The student is responsible for interest during all periods, and it will accrue even when in school. Direct PLUS Loans are for parents of dependent undergraduate students and for graduate or professional students. Financial need is not required to get a PLUS loan. Student must be either a dependent undergraduate student for whom a parent is taking out a Direct PLUS Loan or a graduate or professional student who is receiving a Direct PLUS Loan. The current interest rate is 6.84%. Unlike other Federal loans, with PLUS loans, the borrower cannot have a negative credit history. The borrower is responsible for interest during all periods. PLUS loans also have limited repayment options compared to other Direct Loan types. A note to parents - we never recommend parents borrow to pay for their children's education. Here's why. Direct Consolidation Loans ​allow you to combine all of your eligible Federal student loans into a single loan with a single loan servicer. This is a great way to make payments easier after graduation - and it's free. Don't fall for student loan consolidation scams. Federal Perkins Loans are for undergraduate and graduate students. For these loans, eligibility depends on student’s financial need and availability of funds at the college, based on the student's FAFSA answers. The college’s financial aid office is the determining factor in Perkins Loans. The current interest rate is 5%. Unlike other Federal loans, the college is the lender for Perkins Loans, and all payments will be made to the college. There are two main types of private student loans. There are private student loans for students going to school - which are similar to Federal student loans. There are also private student loans for refinancing, which are for graduates who want to change their student loan debt terms by getting a new loan (similar to refinancing a mortgage on a house). For all types of private loans (both in school and refinancing), we recommend looking at Credible. Credible is a service that compares all of the major student loan companies and helps find the best rate and terms for your situation. It's a very quick process, and you can see what works best for you. So, now that you have all the information on the various types of student loans, you need to ask yourself if they are worth it. To break it down, think about what the collateral of the student loan is: your future earnings. Just like a car loan is a backed by a physical car, and a home loan is backed by your house, a student loan is backed by your earnings. So, if you are thinking about getting a student loan, you should think about what your earnings will be in the job you want and how much it will cost to get there. For example, if you want to be a K-12 teacher, the current starting salary nationwide for teachers with no experience is $36,762. How much education can you afford to pay for to make that much money? To be safe, you should keep your total student loan debt below the minimum amount you would make on your first year of work. So, if you want to be a teacher, don’t go into more than $36,000 in debt. Why do I choose that amount? You should never have to repay more than 10% of your income for student loan debt. Most student loan repayment programs are repaid over 10 years, so if you earned $36,762 for 10 years, your 10 year earnings would be $367,620. 10% of that would be your first year’s salary, or $36,762. If you had to borrow $50,000 to become a teacher that makes $36,000, it would not be worth it. You will be paying too much on your student loans, and you will be struggling to make ends meet. Furthermore, your earning potential compared to what you spent doesn’t make sense. ​This formula isn't 100% accurate, but it's close and gives you a good estimate on the maximum you should spend. ​Engineering has a 2016 starting salary of $64,891. That means that engineers shouldn't typically exceed $64,981 in debt. Meanwhile, education (i.e. teachers) have a starting salary of $34,891. That means that teachers should spend more than that in student loan debt. ​Glassdoor - You can enter different jobs at companies and see salary ranges. Salary.com - Allows you to search for jobs and get estimated salaries. NACE Salary Survey - A survey done by many different colleges across the country. Remember, you don't have to borrow 100% of the cost of your education. There are ways to lower the amount you need to borrow. First, you can apply for grants and scholarships. This is overlooked by 90% of college students. That means, for those that do try hard, there is lot's of money available to help pay for school. Even if you can only get scholarships for 50% of the cost of tuition - that's 50% you don't have to borrow. Read our other guide on How To Find College Scholarships. Second, you can work during school to offset the cost. Beyond the money, employers have cited that graduates who've worked during school are more desirable and have better skills for the workplace. The reason? Communication and problem solving are what employers want, and it's simply not taught in school. Don't shy away from working - you'll be glad you did after graduation. ​This is a tough call, but if you have to take out a student loan, you should definitely stick to Federal student loans. For parents reading this: Parents should NEVER take out a loan to pay for their children's education. There are many options to help pay for college, but parents can't get a loan for retirement. Unless parents can pay cash for their children's education, they shouldn't be contributing money they can't afford. Student loans AREN’T always worth it! Once you graduate, it’s time to start thinking about your repayment options. Within 6 months of graduating, your student loan servicer should contact you via mail and let you know how to being making payments. ​If, for some reason, you don’t know who owns your student loans, you can contact your school’s financial aid office, or use this service provided by the U.S. Department of Education: National Student Loan Data System. If you have private student loans, you can find your lender by looking on your credit report. 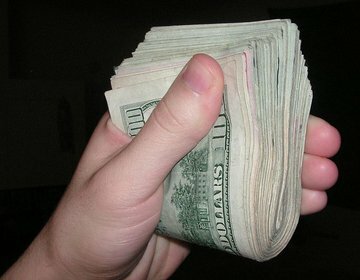 You can get one free credit report per year at AnnualCreditReport.com. Beware: If you don’t make any choices regarding your student loan debt repayment, you will simply default into the standard repayment plan. If this plan is affordable for you, I highly recommend that you stick with it. However, if you can’t afford it, you should look into these other student loan repayment options. A lot of borrowers never change their repayment plan, then go into default because they can't afford the payments. If you can't afford your loan payments on the standard plan, change your repayment plan to one of the income based plans listed below. To change your student loan repayment plan, you simply need to call your lender or login to StudentLoans.gov. There are a lot of "student aid" companies out there that will try to scam you and want you to pay hundreds or thousands of dollars to make this change for you. You don't need to pay - it's free! Just call your lender. ​The standard repayment plan is the most similar to a traditional loan repayment. You will make equal payments on your student loan for up to 10 years. The minimum payment is at least $50 per month. The standard repayment plan is available for all student loan types. The graduated repayment plan is just like it sounds – you pay a lower payment up front and it slowly grows over time. This is the ideal plan if you have a low income now, but expect it to increase in the next several years. Under this plan, your payments will start low, and increase every two years – and the loan is still paid back in 10 years. The highest payment will never be more than 3x the lowest payment. This repayment plan is also available for all student loan types and is still considered to be one of the standard repayment plan options. The extended repayment plan is designed to lower your payments by allowing you to pay over a longer period of time – up to 25 years. To qualify for the extended program, you typically have to have over $30,000 in outstanding student loan debt, and not be able to make payments under the standard repayment plan. With this plan, you may also be able to qualify for graduated payments, as well as traditional fixed payments. This repayment plan is available for all student loan types. The Income-Based Repayment Plan is designed to lower your monthly payments to help you if you have a financial hardship. To qualify for income-based repayment, you have to meet the following criteria: The amount you would normally pay on the standard repayment plan exceeds 15% of the difference between your Adjusted Gross Income (AGI) and 150% of the poverty line. It’s a very odd calculation, but you can figure it out with this calculator and a copy of your previous year’s tax return. With IBR, your payment amount may increase or decrease each year, based on your adjusted gross income. Also, once you initially qualify for IBR, you can continue using this plan until your student loan debt is paid off. This repayment plan is available to all student loan types except PLUS Loans made to parents. ​The Pay As You Earn repayment plan option is designed to lower your monthly payments to help you if you have a financial hardship. This plan is only available to borrowers who took out a loan after October 1, 2007. This program uses the same calculation as the IBR repayment plan above, except your payment must exceed 10% of the difference between your AGI and 150% of the poverty line. The difference with this program is that you can include the total of all your loans as part of that calculation. However, this program isn’t available for holders of FFEL Program Loans and PLUS Loans made to parents. To find out whether you qualify, you can check out this calculator. The RePAYE option is designed to be an extension of the PAYE repayment plan, which will lower your monthly payments based on your income. Unlike PAYE, this option is available to all Direct Loan borrowers, regardless of loan origination date. ​This program uses the same calculation as the IBR repayment plan above, except your payment must exceed 10% of the difference between your AGI and 150% of the poverty line. ​The RePAYE option is available for all federal student loans except Parent PLUS, FFEL Program Loans, and Perkins loans. To find out whether you qualify, you can check out this calculator. 2) 20% of your monthly discretionary income. ​A big benefit of the income-contingent repayment plan is the 10% capitalization benefit. If your monthly payment is less that the amount of interest that accrues, the interest is added to your principal until it is 10% higher than your original loan balance. Then, any loan amount that remains after 25 years is forgiven. However, you may owe taxes on the amount of student loan debt that is forgiven. ​The income-sensitive repayment plan is designed for FFEL loan programs, such as Federal Stafford Loans, PLUS Loans, and consolidation loans. Under this plan, your payments will increase or decrease based on your annual income. Payments will be made for a maximum of 10 years, at which point they may be forgiven. However, you may owe taxes on the amount that is forgiven. Each lender’s formula for calculating monthly payments varies, so check with your lender. If you're planning to take advantage of an income-driven repayment plan, that's great if it makes sense for your budget and finances. However, don't expect to be able to spend much outside your loans, and don't think about paying extra if you're going to go for forgiveness. First, income-driven repayment plans are the main programs to get student loan forgiveness. If that's your plan, you shouldn't plan on paying more even if you think it will make an impact on your student loan debt. Paying extra puts your loans into pay ahead status, which could harm your chances of forgiveness. Also, if you're planning on buying a house in the future, it's extremely difficult to purchase a house while on an income driven repayment plan because of the mortgage and lending requirements around your student loan debt. Lenders won't typically use the amount of your monthly payment. Instead, they will rely on a calculation, which will increate your debt-to-income ratio. It is possible to buy a house with student loans, but just much more challenging if you're on an income-driven repayment plan. Student loan deferment allows you to postpone payments on your student loans. Most loans automatically come with a 6 month grace period after you graduation (to allow graduating students time to find a job). This is the rule for most Federal student loans, including Stafford Loans, Direct Loans, PLUS Loans, Graduate PLUS Loans, and Federal Consolidation Loans. If you have a subsidized loan, interest doesn’t accrue during deferment. If you have an unsubsidized loan, interest does accrue. If student loan deferment sounds like an option for you, there are many programs available you may qualify for. Some of the programs also coincide with student loan forgiveness programs. For example, the Peace Corps – not only do you qualify for deferment, but parts of your loan can be forgiven all together. ​Student loan deferment is only a temporary solution, so make sure that you are still making arrangements to pay back your loan. Remember, if you have a federal loan, it cannot be eliminated through bankruptcy. You will still be responsible for the loan until it is paid in full. You are working full-time and your total gross monthly income is less than or equal to the larger of the monthly federal minimum wage rate or 150% of the poverty guideline for your state. Serving on active duty during a war or other military operation, or national emergency; or performing qualifying National Guard duty during a war or other military operation, or national emergency. If you want to apply for any of the student loan deferment programs listed, it's important that you follow the proper steps to ensure that your loan deferment is processed correctly and quickly. All of the deferment programs require a written application - calling your lender will not help you with the process, although they may be a good resource to check to see if you qualify. All deferment programs are subject to your lender's approval. However, remember that your Federal loan holder is still bound by the laws and programs of the United States. They will not prevent you from getting a deferment you rightfully qualify for. However, if you don't qualify, or you don't submit the proper documentation, they do not have to grant the deferment. Mail the completed request to your loan holder via certified mail. This allows you to track and ensure that your lender signed for the letter. Remember, student loan deferment programs are designed to be TEMPORARY solutions to your student loan hardship. Most of the programs have limits, and those that do not are limited by the time you're in school or deployed in the military. Deferments can also be expensive for borrowers. Unless you have a subsidized loan, the interest is still accruing and you'll be responsible for it after the deferment period is over. Once again, student loan deferment is a temporary solution only! Forbearance is where the student loan holder gives you permission to stop making payments for a set period of time. Unlike deferment, this is not for a qualifying reason, but rather for a hardship that prevents you from making payments. Deferments are directly tied to the student loan program, or terms of the private student loan, where student loan forbearance is an agreement between you and the lender. ​Unlike deferment, interest always accrues during a forbearance (interest accrues in deferment as well, but with subsidized loans, the Federal government pays the interest). Forbearances are usually granted for up to one year at a time. ​Forbearances can sometimes be easier to obtain than a deferment, depending on the student loan type. The reason for this is because they are a direct negotiation with the lender, rather than qualifying for specific terms. If you are interested in pursuing forbearance, you need to contact your lender directly and explain to them your situation. If you have a subsidized loan, interest does NOT accrue during deferment. If you have an unsubsidized loan, interest does accrue during deferment. There are many ways to get student loan forgiveness, and it should be another option for you to consider, since it is free money. Under certain circumstances, all or part of your student loan can be canceled in a process called student loan forgiveness. To qualify, you must perform volunteer work, perform military service, practice medicine in specific communities, or meet other criteria. The reason it's important to know the difference of what type of program you're participating in is that each type of program has different tax applications for it. Some offer tax free student loan forgiveness and tax free money, while other programs will cancel your debt and treat it as taxable income. ​It’s currently estimated that over 50% of student loan borrowers qualify for some type of student loan forgiveness program. Take a look at the programs below and see if you qualify. ​The #1 way to currently get student loan forgiveness is to work in public service for 10 years. President Obama announced the PSLF – Public Service Loan Forgiveness Program, which will grant student loan forgiveness on qualifying loans after 120 payments (10 years). ​The great thing about public service is that the definition is very broad. Qualifying employment is any employment with a federal, state, or local government agency, entity, or organization or a not-for-profit organization that has been designated as tax-exempt by the Internal Revenue Service (IRS) under Section 501(c)(3) of the Internal Revenue Code (IRC). The type or nature of employment with the organization does not matter for PSLF purposes. Peace Corps: ​If you volunteer for the Peace Corps, you can get partial cancellation of Perkins Loans based on the number of years of service. Currently, you get 15% per year, with a max of 70%. 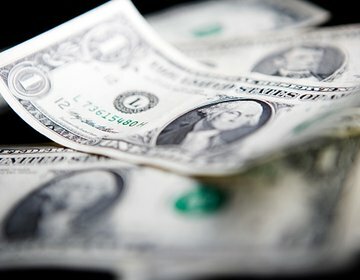 If you teach full-time for five complete and consecutive academic years in certain elementary and secondary schools and educational service agencies that serve low-income families, and meet other qualifications, you may be eligible for forgiveness of up to a combined total of $17,500 on your Direct or Stafford Loans. If you have Perkins Loans, you might be able to qualify for 100% discharge of your student loan debt if you teach in a qualifying elementary or secondary school. Student loan repayment assistance programs are programs that give you a certain amount of money towards your student loans for completing certain requirements. For example, nursing student loan forgiveness programs typically fall into this bucket. There are a variety of student loan repayment assistance programs available. The main bucket for student loan repayment assistance at the Federal level is for volunteer work. ​Americorps – If you serve for 12 months, you can receive $4,725 towards your student loans. There are many state-based student loan repayment assistance programs. ​Forty-five states and the District of Columbia all have special student loan forgiveness programs for residents of their states.Many of the programs are in public service fields, such as health care, teaching, dentistry, legal, and more. There are several repayment plans that offer student loan forgiveness as part of the income-based repayment plan.​ If you are enrolled in these plans, you'll get loan forgiveness at the end of the term. Income-Based Repayment (IBR): If you have loans from before July 1, 2014, you will make payments for 25 years, and at that point, your loans will be forgiven. If you have loans after July 1, 2014, you will get forgiveness after 20 years. Pay-As-You-Earn (PAYE): With PAYE, you will not pay more than 10% of your discretionary income, and your loan will also be forgiven after 20 years. Revised Pay-As-You-Earn (RePAYE): This repayment plan still caps your payment at 10% of your discretionary income, and the loan will be forgiven after 20 years. However, there are more people eligible with this plan than under PAYE, but other changes around interest payments also occur. Income Contingent Repayment (ICR):​ With the ICR plan, your loans will be forgiven at the end of 25 years. Depending on the type of loan forgiveness you receive, you may owe taxes on the amount of student loan debt forgiven. Public Service Loan Forgiveness (PSLF), Teacher Loan Forgiveness, law school loan repayment assistance programs and the National Health Service Corps Loan Repayment Program are not taxable. Many of the state-based programs are typically not subject to state income tax, but may be subject to Federal income tax. The forgiveness of the remaining balance under IBR, PAYE, RePAYE, and ICR after 20 or 25 years in repayment is considered taxable income. Similar to student loan forgiveness, there are ways to cancel or discharge your student loan debt. However, these scenarios are typically rare, and many involve unique situations. Some of these situations may require consulting a student loan lawyer, in which case, make sure you do your due diligence before signing any contracts. In almost all cases, these discharge and cancellation options will result in the amount discharged being considered taxable income. However, given the circumstances of the discharge, borrowers may be considered insolvent, in which case, the tax burden would also be discharged. These are very technical​ issues and an accountant or tax attorney should be consulted. Total and Permanent Disability Discharge (TPD) relieves you of having to pay back your student loans if you are totally and permanently disabled. ​If you are a veteran, you can submit documentation from the U.S. Department of Veterans Affairs (VA) showing that the VA has determined that you are unemployable due to a service-connected disability. You can submit certification from a physician that you are totally and permanently disabled. Your physician must certify that you are unable to engage in any substantial gainful activity by reason of a medically determinable physical or mental impairment that can be expected to result in death, Has lasted for a continuous period of not less than 60 months, or can be expected to last for a continuous period of not less than 60 months. ​If the borrower dies, then the federal student loans will be discharged. If you are a parent PLUS loan borrower, then the loan may be discharged if you die, or if the student on whose behalf you obtained the loan dies. ​Your school closes while you're enrolled, and you do not complete your program because of the closure. If you were on an approved leave of absence, you are considered to have been enrolled at the school. It's important to note that, if you are able to transfer your credits or complete your degree at another school or by comparable means, then you do not qualify for a closed school discharge. Also, you are not eligible if you have completed all the coursework for the program, even if you have not received a diploma or certificate. This typically happens with identity theft issues, but it can also occur if the school financial aid office made a mistake. ​Your school falsely certified your eligibility to receive the loan based on your ability to benefit from its training, and you did not meet the ability to benefit student eligibility requirements. To receive your discharge, you will have to provide proof that a false certification occurred. For identity theft, you could produce a police report, for example. We break down exactly what to do if someone took out student loans in your name. This is very rare, but ​you may be eligible for a discharge of your Direct Loan or FFEL Program loan if you withdrew from school, but the school didn’t pay a refund that it owed to the U.S. Department of Education or to the lender, as appropriate. Only the amount of the refund would be discharged. It is very rare to get your student loans discharged in bankruptcy because a student loan's collateral is your future earnings. To qualify for a discharge, you essentially have to prove that your future earnings will never allow you to pay back the loan. ​If you are forced to repay the loan, you would not be able to maintain a minimal standard of living. Borrower Defense is one of the newest forms of student loan discharges, and all of the details haven't been completely finalized by the Department of Education. This form of discharge is designed to protect student loan borrowers from predatory and misleading school admissions and financial aid offices. ​You may be eligible for a borrower defense to repayment discharge of the federal Direct Loans you took out to attend a school if that school committed fraud by doing something or failing to do something, misrepresented its services, or otherwise violated applicable state law related to your loans or the educational services you paid for. This can apply to you regardless of whether your school closed or you are otherwise eligible for a loan discharge under other applicable laws. The law requires borrowers to submit a claim in order to receive debt relief. If you have multiple student loans, you have likely considered student loan consolidation or student loan refinancing. Many places use those terms interchangeably, but it's important for you to know and understand the differences between them. Student Loan Consolidation: When you consolidate your Federal student loans, you are merging your Federal loans to get one bill and your interest rate becomes the weighted average of your original loans. If you don't change your repayment term, you'll pay exactly the same as you would have with your individual loans. The goal of student loan consolidation is convenience. 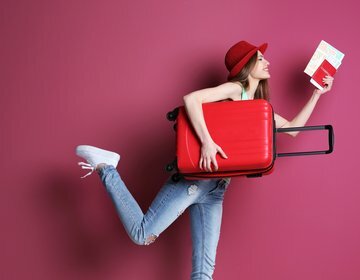 Student Loan Refinancing: ​Refinancing means that you merge your Federal and private loans into one single payment, but you get offered a new interest rate as well — one that can be significantly lower than your current terms. However, the process is different than consolidation, in that you take out a new loan that pays off your old loans. This new loan is always offered through a private lender. If you want to consolidate your Federal student loans, it's FREE! You simply apply for it here: StudentLoans.gov. Student loan consolidation will take all your Federal student loans, and combine them into a new Federal Consolidation Loan. There are a lot of companies out there that attempt to make you pay for student loan consolidation. ​You should never pay for student loan consolidation, and there are many student loan scams involving student loan consolidation. Remember, student loan consolidation is FREE! However, before you attempt it for free, make sure you fully understand that doing something incorrectly can cause you student loan consolidation problems. Student loan refinancing is the process of getting a new student loan that pays off your other student loans. Then, you can just make payments on this new student loan going forward. Let's look at these factors a little more in-depth. There are a lot of student loan refinancing lenders, and we've reviewed every single lender on our Student Loan Refinancing Tool.​ Each lender offers different perks, charges different fees, and more. ​Make sure to look at the benefits offered by each lender. As a result of all the recent competition in the industry, benefits have become a huge selling point. You should look for benefits that are important to you. For example, some lenders offer cosigner release. Others offer cash back rewards. And some lenders even offer programs to help you network and find jobs in your industry. Speaking of cosigners, it's important to note that cosigners are as liable for the loan as borrowers are. ​This is true even in the case of death or disability. As a result, if you cosign a private student loan, it is strongly advised that you take out a term life insurance policy on the student, with the cosigner being the beneficiary. That way, should anything happen to the student; the proceeds from the life insurance policy can be used to pay off the student loan debt. Otherwise, the cosigner could be liable for the debt until it is paid off. However, some lenders offer the perk of cosigner release after making a certain number of payments. ​Each student loan refinance lender has a unique set of term lengths available. In general, you will be able to pick from 5 year, 10 year, 15 year, 20 year, and 25 year term lengths for the repayment of your loan. Some student loan refinance lenders even offer 8 year and 12 year repayment terms. Each term length will have a different rate and monthly payment. As a rule of thumb, the shorter the term length, the lower the rate and the higher the monthly payment. If you have federal student loans you have a fixed interest rate. If you have private student loans you may have a variable or fixed interest rate. Fixed interest rates do not change over the course of the loan. In contrast, variable interest rates will change over the life of the loan. Variable rates will move up and down with market interest rates. Most lenders base their variable rates off the one or three month LIBOR. If interest rates go higher, your variable rate will go higher too. If interest rates go down, your variable interest rate will also go down. Today, interest rates are extremely low and those borrowers with variable rates are benefiting. With all of these different options, it can be tough to compare different lenders. That's why we recommend Credible.​ Credible is a partner platform that compares upwards of eight different student loan lenders to find you the best rate, fees, and perks. What's great about Credible is that it can get you a 95% accurate rate quote in minutes, without having to do a hard credit check. If you're looking to see if student loan refinancing makes sense for you, try Credible right now. You'll know in minutes if you can save money by refinancing your student loans. As a bonus, College Investor readers will get $200 when they close a loan with Credible! ​When it comes to Federal loans, however, you typically shouldn't refinance them. The reason is, beyond the interest rate and payment, Federal student loans have a ton of perks and options to help borrowers. ​First, if you're payment is too high, you could qualify for income based repayment. This will lower your student loan debt to less than 15% of your discretionary income (or 10% for PAYE and RePAYE plans).​ That means, regardless of what your loan amount or credit score is, you'll get a lower payment. That isn't the case with private student loans. ​Second, these income-based repayment plans also include student loan forgiveness at the end of 20 or 25 years.​ That means, not only can you get a lower payment, but your loan could be forgiven after a period of time. ​Finally, Federal student loans qualify for Public Service Loan Forgiveness, or PSLF. ​If you work for a non-profit or the government, you can get loan forgiveness after just 10 years. That's a huge perk. If you haven’t kept current with your student loan debt, you could be in default. Your student loans are placed in default if you haven’t made a payment on them in over 270 days. When your loans go into default, they typically transfer over from a student loan servicing company to a collection agency. With Federal student loans, there is a very specific process and collection agency that follows up. ​When your student loans are in default, there are a lot of consequences. 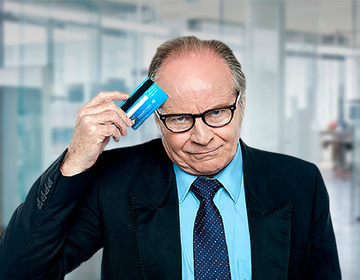 ​First, your credit score will be ruined. It will take years to get that score back, but in the short term, it’s going to be low. You can check your credit score any time using a free service like Credit Karma, which also has great tools for managing your debt. Second, your defaulted loan is typically assigned to a student loan collection agency which is responsible for recovering as much of the debt as possible. Your debt can be recovered in several ways, including wage garnishments, tax refund offsets, even Social Security garnishments. When you have student loan debt and any kind of income, the government will take some of it to repay the loans. When you're in default, your loan is actually in collections. The Department of Education has typically assigned your loan to a collection agency to try and recoup some of the debt. If you think that your rights have been violated by a debt collector for your student loans, you should speak to a student loan lawyer that can validate your case. Please be aware that a reputable student loan debt lawyer will focus on the collection aspect. A lawyer simply can't make your debt go away, but they can make sure that proper steps were followed to collect the debt. Student loan rehabilitation is the process where you can get your Federal student loans out of collections and be able to get on a repayment plan that works for you. ​The first thing you need to do is re-track down your student loans. Many people in default have simply lost contact with their lenders or given up trying to keep tabs on the loans. If you have Federal student loans, you can track down defaulted loans through a system called MyEdDebt maintained by the U.S. Department of Education. You can access it here: https://www.myeddebt.com/. ​Pay Off The Loan: One option for getting out of default is repaying your defaulted student loan in full. This typically isn’t an option for anyone, or else the loan wouldn’t have gone into default. However, it does exist. Loan Consolidation: You also have an option for getting out of default through loan consolidation. Once your student loan is rehabilitated, you may regain eligibility for benefits that were available on your loan before you defaulted. Those benefits may include deferment, forbearance, a choice of repayment plans, loan forgiveness, and eligibility for additional federal student aid. Some of these benefits may be available sooner than others. If you have private loans in default, you have much fewer options to get back on track. First, you should make sure to check the validity of the debt. Private loans are much less tracked than Federal loans, so you should really make sure you're only addressing what you personally owe. It's important to note here that most student loan scams affect borrowers in default because the borrowers are hoping for a magic bullet to solve their debt problems. ​Be very careful in working with any law firm. Make sure that you ask them exactly what steps they are going to take in fighting your debt. A lot of people get burned dealing with law firms trying to get their student loan debt dismissed. Both of these are big red flags that they are NOT trying to help you, and focused on other priorities. Most people don't ever need a student loan lawyer unless you're struggling to get out of default, or you are being sued by your private lender. You might still be able to get a settlement on your private student loans, but I would ask the attorney that you keep all money yourself and only pay for the attorney's fees. When you have a settlement, you can figure out your own financing for the balance owed on the debt. If you believe you were scammed by a student loan company, here's what steps you can take to protect yourself and potentially get a refund. Student loans are like any other debt out there – you owe money, and you must pay it back. Unlike other forms of debt, however, the ways to discharge student loan debt are few and far between. Since the collateral for the student loan is your income, it is expected that you will eventually be able to repay the loan over time. ​With that in mind, I wanted to share with you my top tools for getting out of student loan debt. ​If you still have questions about your student loans after reading this guide, the U.S. Department of Education has a great resource page on student loans. It’s called StudentLoans.Gov, and it has all of the information you could ever need about your student loans and repayment programs. ​Once you have student loans, you need to keep track of your student loan debt and any other financial accounts that you may have. Personal Capital is a great free financial program that you can use to track all of your banking accounts, and also your student loan debt. By keeping track of everything online for free, you don’t have to worry if you move and lose track of your student loan servicer. ​When comparing lenders, it's always important to know all the facts. That's why we have one of the most comprehensive databases of student loan refinancing lenders for you to review. When checking out the tool, make sure you look at all our lender reviews as well.​ When you're ready, use a tool like Credible to compare the best rates and fees. If you want customized assistance for your situation, we partner with a third party company that can help. Give them a call at 1-866-863-3870 or check out their website here. Check out our Student Loan Debt Forum. It won't be personalized help, but maybe your question has already been answered: Student Loan Debt Forums. Read all the free resources we have on student loans. Your question has likely been answered, but you'll have to sort through it yourself: Student Loan Debt Homepage. If you’ve made it this far, I assume that you’re now well versed in what it takes to be smart about your student loan debt. Hopefully you’ve not only selected the best student loan program for your needs, but you’ve also figured out a great repayment plan that keeps it affordable for you while getting out of debt. Even better, maybe you’re one of the 50%+ of borrowers who qualifies for student loan forgiveness. Regardless, I hope you found this guide useful for you. ​If you’re not quite to a certain part of this guide, that’s okay. You’re simply future-proofing yourself when it comes to paying back your student loans. Simply bookmark this guide to help you select the best program when the time comes.